They say that if you treat animals with love then they will pay you back with love. 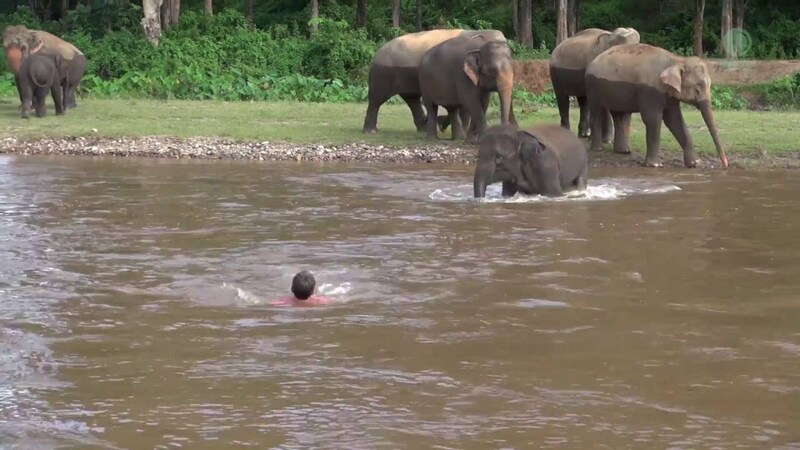 It's exactly this thought that is making us incredibly jealous of Darrick and his pal, Kham Lha the elephant. 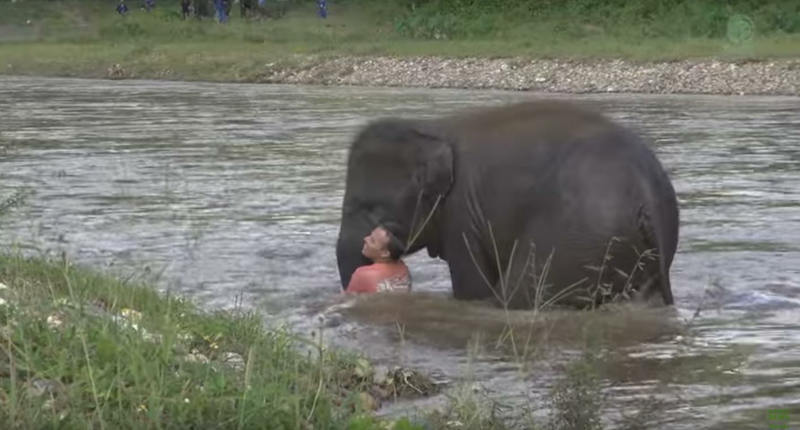 The bond between the man and elephant is so strong that she came to rescue him from the river when he appeared to be drowning. When she noticed that Darrick wasn't swimming comfortably, more bobbing up and down and flailing his arms, she immediately rushed to his aid. Not thinking twice about the rough current in the river, Kham Lha sets her sights on her friend to pull him safely to the side of the riverbank. 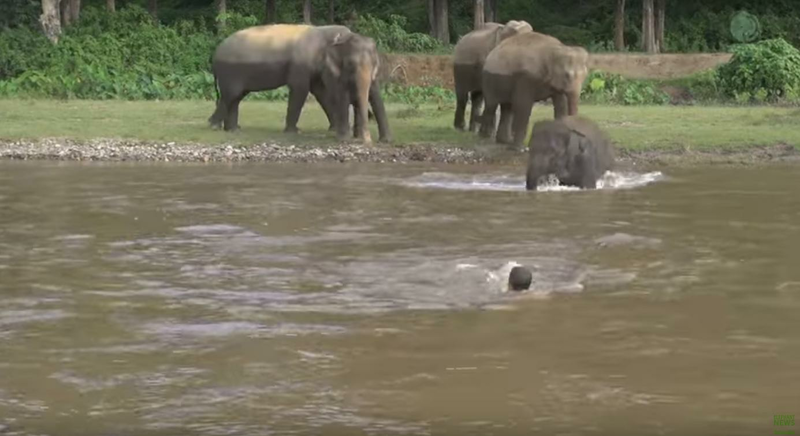 The rescue at the Elephant Nature Park in Northern Thailand was caught on camera and uploaded to YouTube. The video has since been viewed over four million times. The Elephant Nature Park is a sanctuary and rescue centre for elephants who are often victim to poachers, hunting for the ivory tusks. If you need us, we'll be looking for an elephant friend at the zoo. "Pack your trunk Nelly, you're coming with us."